Has it been 9 months already? How fast time flies and at the same time it feels like it has been forever. I am dead tired. Between work and household chores and a whining baby – I sometimes just feel like I don’t have any energy left to do anything else. Even watching TV feels like a chore. I’m just thankful that Z has been doing her nights since she was 3 months old – if not, then I would definitely just be plain dead. But there are also times when all that work seems like nothing and I have the energy to go all week being super mom. It’s weird. Maybe I’m becoming schizo. Or maybe that’s just how being a mom is. 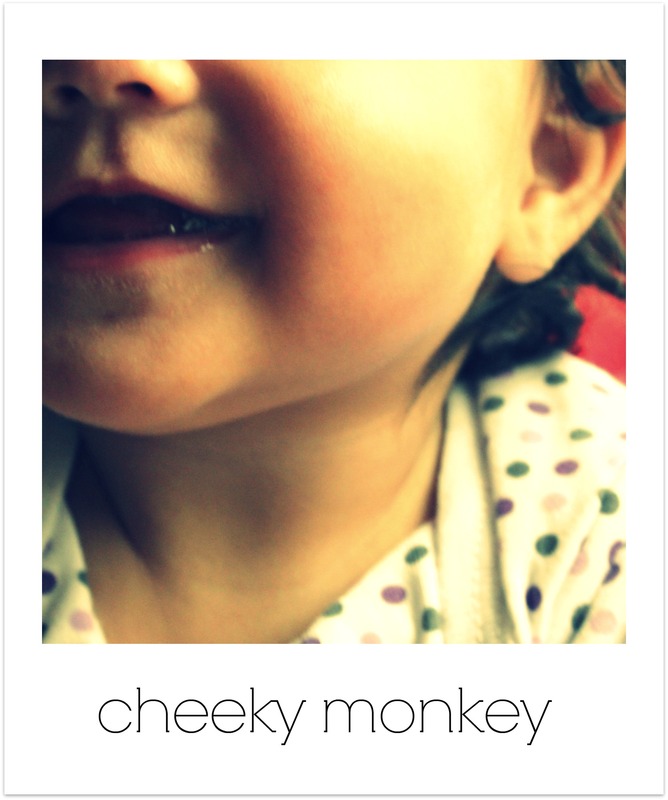 Recently the little monkey has been more of little monster. She’s having separation issues – always needs to be near me or in my arms. Plus she’s becoming more mobile – rolling all over the place. We have to make sure she doesn’t fall or hit her head somewhere. I started her on solids when she was 6 months, only during lunch. And now she’s also eating dinner with us. She used to love everything we give her – but now she’s tasting everything first before deciding if she’ll open her mouth for the next spoonful. And then doesn’t open her mouth at all if she doesn’t like it. She also prefers to eat our food, it seems, more than hers. Sometimes I feel want her to go back to the way she was – when she’ll just sleep after every feeding and just played by herself lying down. And sometimes I want her to start talking and walking so we can play more. And all those schizo feelings make me tired. T-I-R-E-D. Physically tired. But despite that, I absolutely love this stage in my life and will not exchange it for anything. I might have spoken too soon when I said we were having a pseudo winter 4 posts back. It’s -8 degrees in Paris today. If that’s not winter, I don’t know what is. I’ve been going out all bundled up and I can still feel the cold. I am sooooo looking forward to our March holiday just to get some sun. 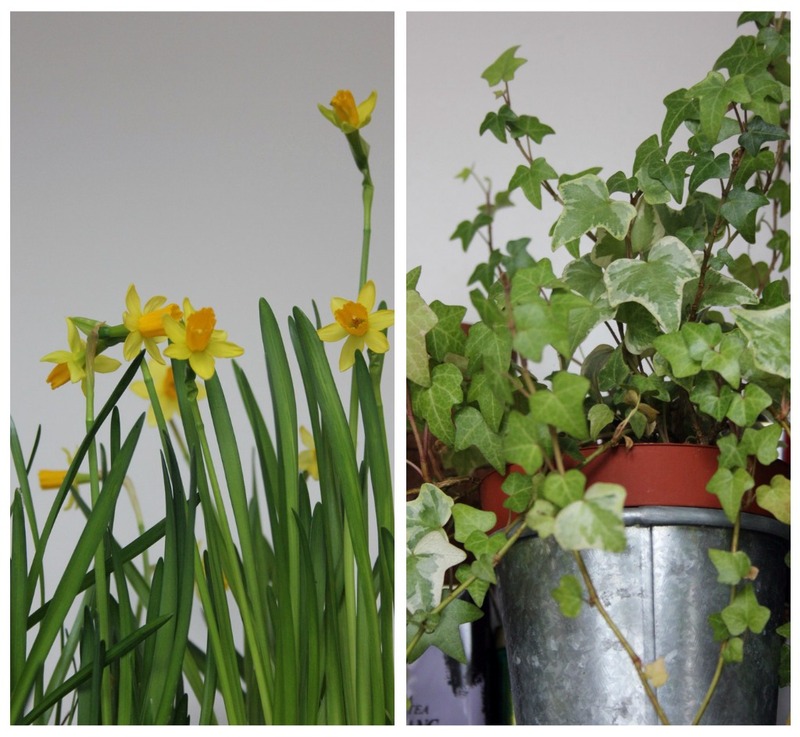 Anyway, to forget that it’s in the negatives outside, I like to go into the kitchen and look at the husband’s plants. The green vine thing makes washing the dishes a bit hard. The leaves are all over the place. But I actually appreciate it. It makes the kitchen more “homely” and an almost relaxing place to work in. I was also surprised to see that the daffodils we bought last year that we thought have died started growing again. The husband made make-shift pots with old cabinet drawers that I painted white and put the small pots in them and put them in the kitchen. 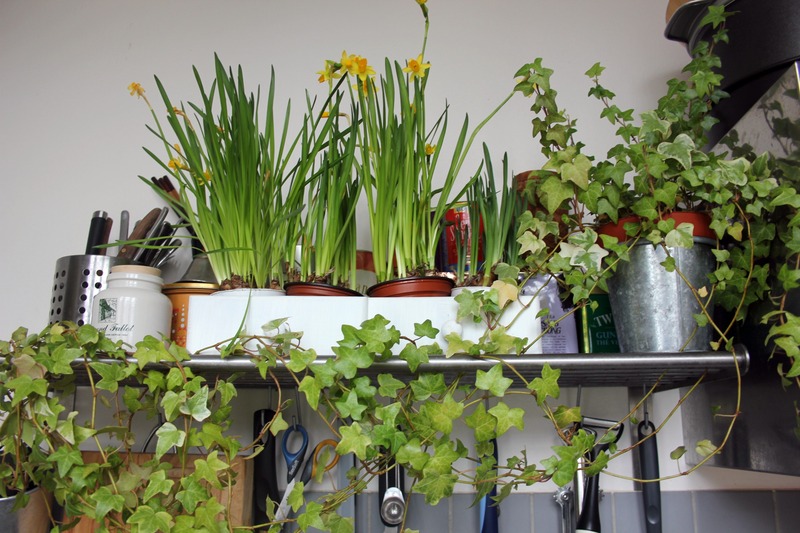 So now, even though it’s still winter outside, I feel like it’s already spring time in my kitchen. 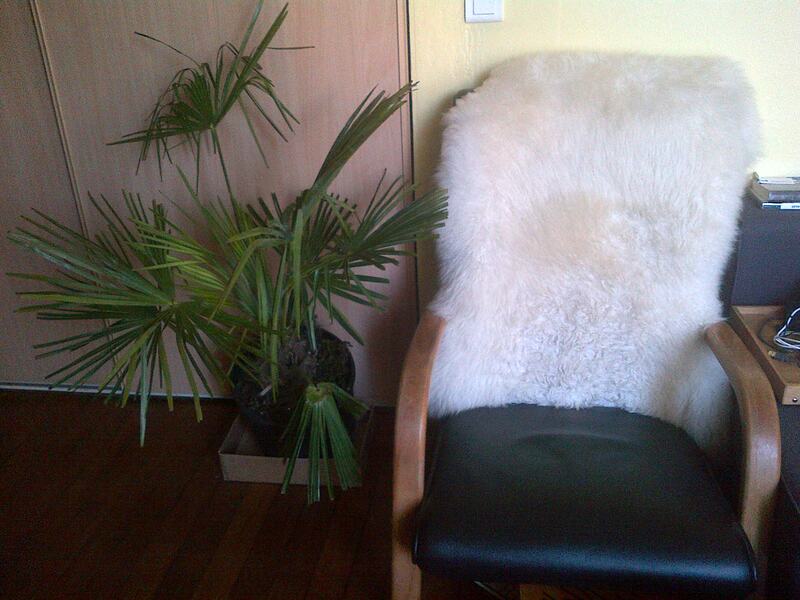 Tell him that he can bring his precious palm tree in from the cold but he has to look for a place to squeeze it in.